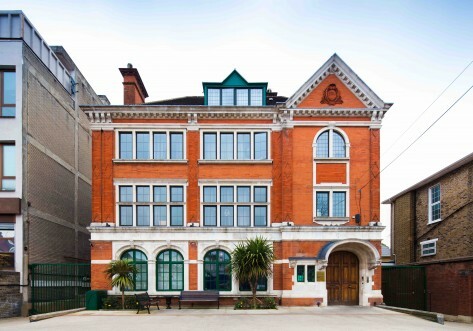 Nido Student – West Hampstead is home to 347 students every year. Our modern student accommodation is just around the corner from West Hampstead Tube Station (less than 5-minutes’ walk), which will allow you to easily explore London. You’ll be just a short 10-minute tube ride to Oxford Street and close to all major universities in the city. Our house team will look after you during your stay, all you need to worry about is living your best student life – make friends, learn to cook, lay-ins and late nights at the library. … and all bills included (water, electricity, gas and heating). 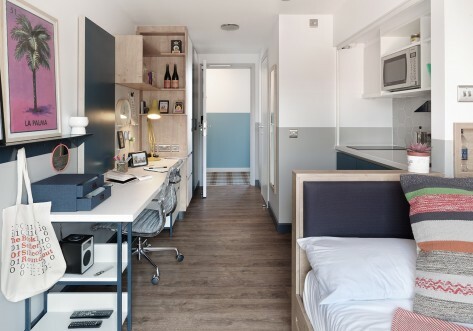 We like to give you options, so you can choose from a range of super spacious studios and ensuite apartments giving you all of those home comforts whilst at university. Our studios come fully furnished with a private ensuite bathroom, kitchenette, storage, bed and dining table & chairs. They’re perfect if you like having your own space. If you are a sharer, enjoy the buzzing atmosphere of our 3-7 person ensuite apartments including a spacious living room and kitchen, while still having your own bedroom and ensuite bathroom. Our rooms come in a range of sizes and layouts, so you can find your perfect space. 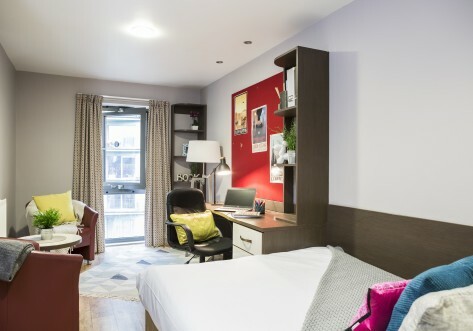 Rooms for the 2019/20 academic year start from just £229 pp/pw. Come and live your potential with us. Our residence is just a 1 minute walk to the Underground Jubilee Line, Overground and National Rail transport links. With 24/7 weekend travel on the Jubilee Line starting in the coming months, every part of London will be at your fingertips. Our Ensuite Apartments allow you to enjoy your own bedroom and ensuite bathroom while still getting the buzzing atmosphere of a shared living room and kitchen with 4-8 other people. 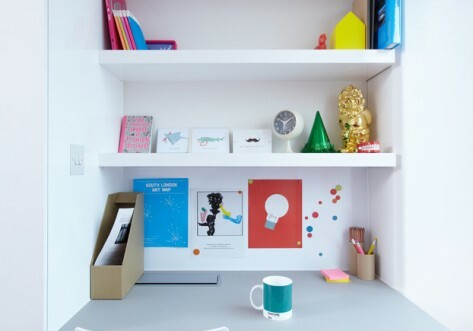 Our Studios are ideal for having your own space. Each studio comes with your own private ensuite bathroom, double-bed, additional wardrobe space, table & chairs and kitchenette.